Do you like to adorn your legs? Lace, glitter, net, with stripes or any other kind of design, there are tights for all kind of styles. Is not really my thing, I prefer normal tights, sometimes I can change colors but the most edgy I can go is with the stripes or glitter ones. Anyway we can find this trend in catwalks and in the streets. I made a selection of cheap deals, as you can imagine is pretty easy to find in any store, anyway take a look and choose your favorite ones. me encantan que las medias engan ese toque diferente y no ir siempre tan básicas. 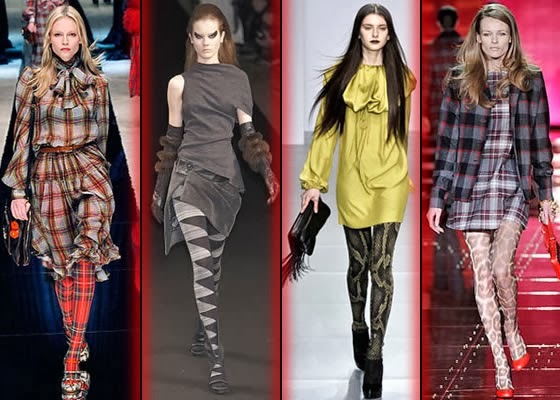 This is an awesome post like the tartan tights so cute.